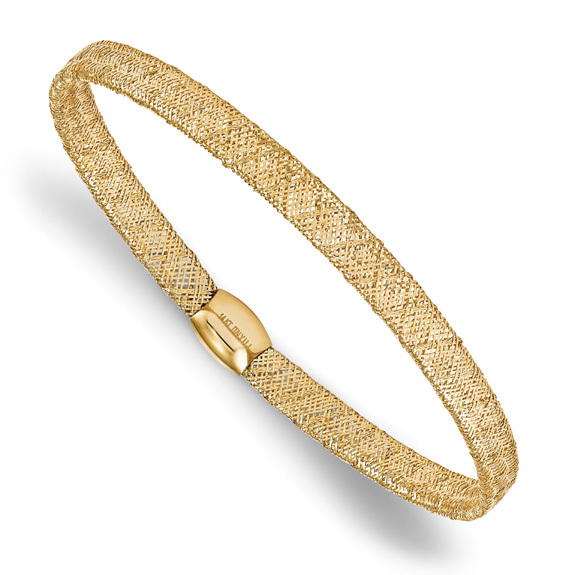 A finely made mesh bangle stretch bracelet crafted in 14k yellow gold. 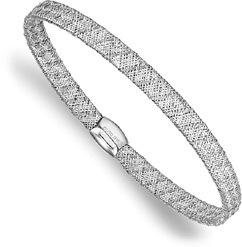 The bracelet is made in Italy, known for their high standards in fine jewelry design. The bangle bracelet measures 7.5 inches in length. The bracelet measures 4mm wide and has a flexible design to it. 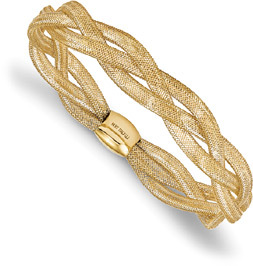 We guarantee our Italian Mesh Bangle Stretch Bracelet in 14K Gold to be high quality, authentic jewelry, as described above.